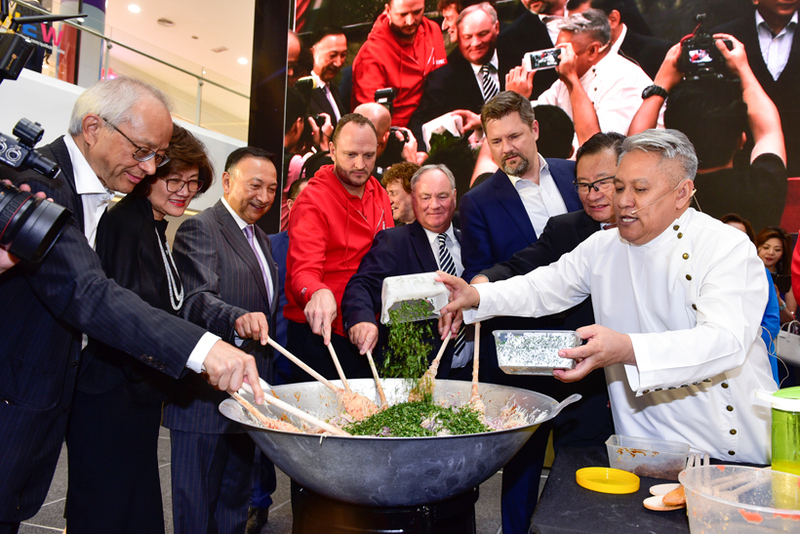 Under the eager gaze of media, members of the public, invited guests and VIPs, the Master Chefs of the Malaysia International Gastronomy Festival 2018 recently made their first collective appearance in public at the official MIGF Media Launch. “Muhibah Chefs! 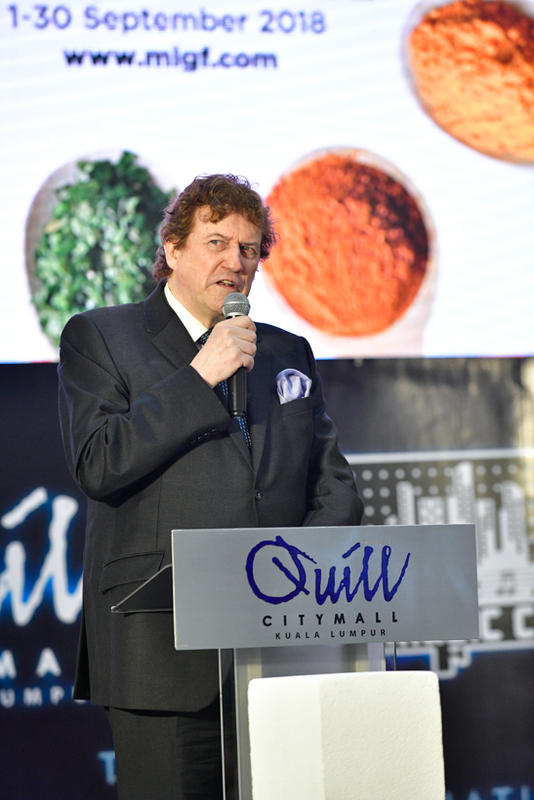 Good Food Brings Us Together!” is this year’s MIGF theme, which perfectly encapsulates the spirit of goodwill, togetherness and friendship that filled the concourse of Quill City Mall KL where the launch took place. As guests gathered before proceedings kicked off, a documentary tracking the history of MIGF played on stage, highlighting milestones since the inaugural Kuala Lumpur Gourmet Festival in 2001. Fast forward 17 years and MIGF has grown to become one of the region’s premier food festivals and a globally recognised event. This year’s Festival is bolstered by the support of multiple sponsors and partners, many of which were present during the launch, including Boost CEO Christopher Tiffin, Axiata CEO Mohd Khairil Abdullah, Volvo Car Malaysia Managing Director Lennart Stegland and Malaysia Airlines Group Chief Commercial Officer Arved Von Zurmuehlen. Along with Tourism Malaysia, Standard Chartered Bank, Malaysia Airports Holdings Berhad and partners including Astro, Lite FM, Melody FM, Brandavision, Seni Jaya, Asian Tigers Mobility, Pico International, Berjaya University College, Vision Four and Vision KL, these entities provide unprecedented support without which the Festival could not happen. 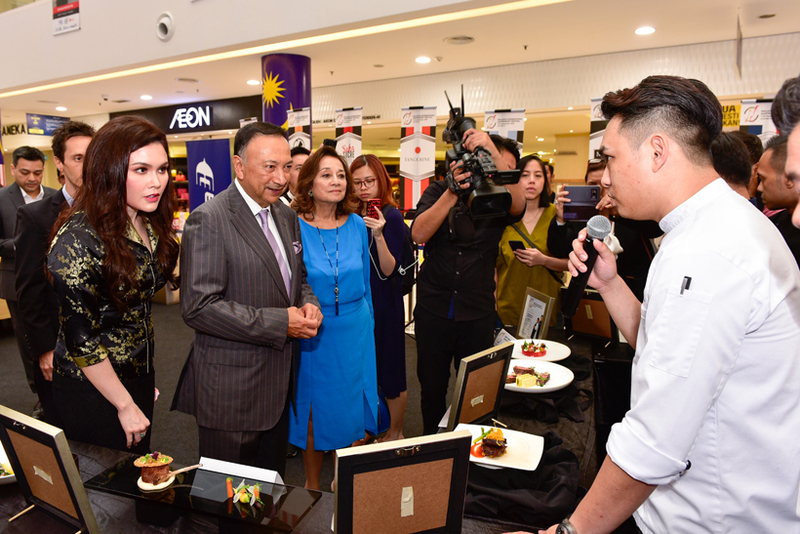 While a crowd of Master Chefs, kompang dummers and members of the public awaited the arrival of Festival Royal Patron Tunku Naquiyuddin ibni Tunku Ja’afar and MIGF Organising Chairman Dato’ Steve Day at the mall entrance, Malaysia’s host-with-the-most Sarimah Ibrahim was on hand to conduct interviews with partners and sponsors inside. 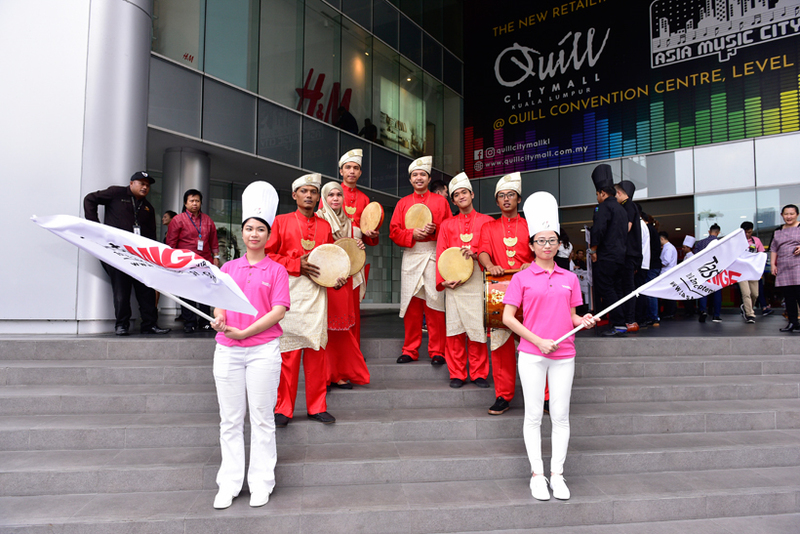 A resounding percussion soundtrack from the kompang players announced the arrival of the two aforementioned individuals who emerged from brand-new Volvo S90 luxury sedans and walked the red carpet with the contingent of ushers, chefs and Festival partners to the launch area. 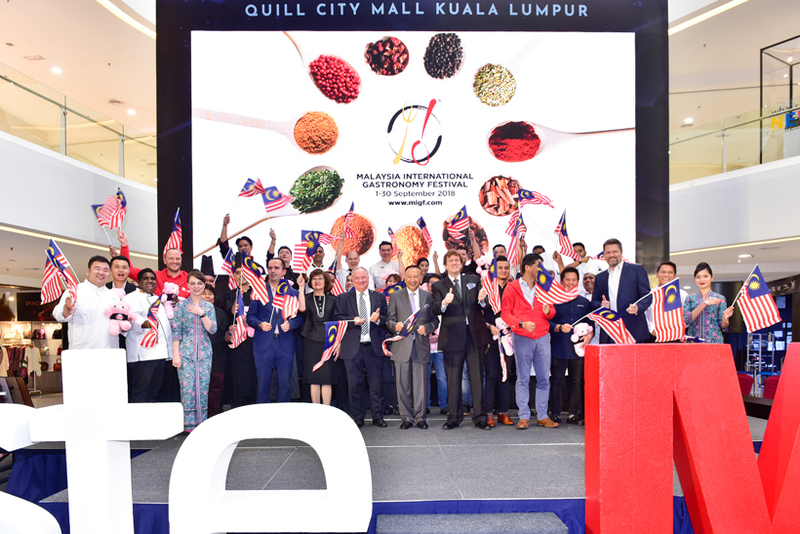 Here, giant letters that spelled out ‘Taste MIGF’ stood before the stage: this year’s two-day food tasting extravaganza open to the public at the Berjaya Times Square Hotel on the 1st and 2nd of September. “If you look in the Malay dictionary you’ll see that muhibah talks about love, friendliness and the art of being together – all elements which consummately sum up the Festival,” said Dato’ Steve in his welcome address. He went on to outline what’s in store for Festival goers this year, with a particular emphasis on the restaurant line-up. “You’ll notice it’s a really eclectic mix this year. Along with traditional favourites we’ve also got a lot of exciting new comers. We’ve been at the forefront of pulling those new comers into the scene, and have always made our chefs the stars of the show,” he added. Also taking to the stage was Festival Royal Patron Tunku Naquiyuddin, who has stood in the role since the inception of the Festival 17 years ago. 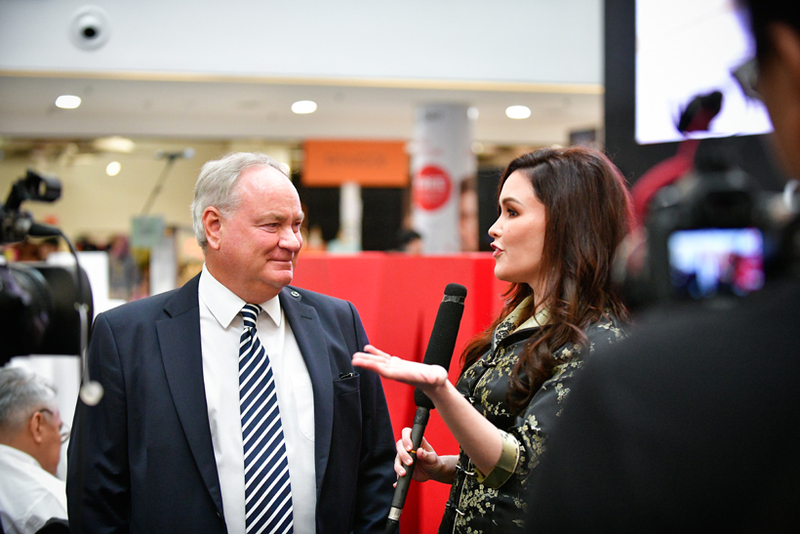 In his speech he eloquently expounded on the growth of the food and beverage industry since the Festival started in 2001, as well as the beneficial publicity generated by it. 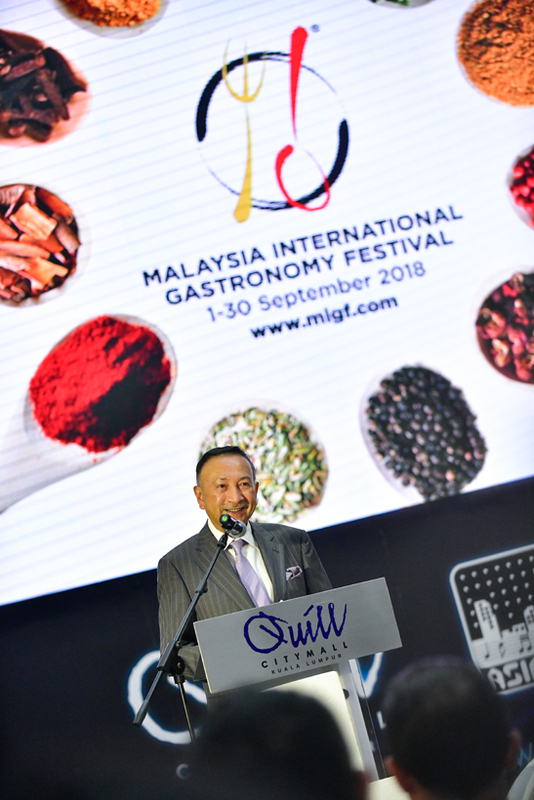 “Malaysia certainly needs world-class lifestyle events like Taste MIGF to position the country as a high-end destination for affluent tourists – and may I add, hungry tourists as well,” he quipped. 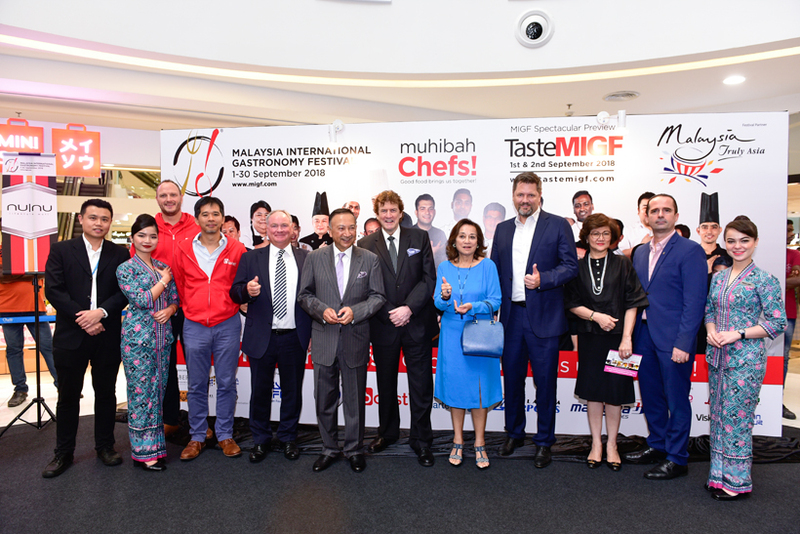 “In fact, with the right support from Tourism Malaysia, Taste MIGF has the potential to become a standalone, world-class event in its own right. This is excellent news in the build-up for Visit Malaysia Year 2020,” he said as he rounded out his speech. 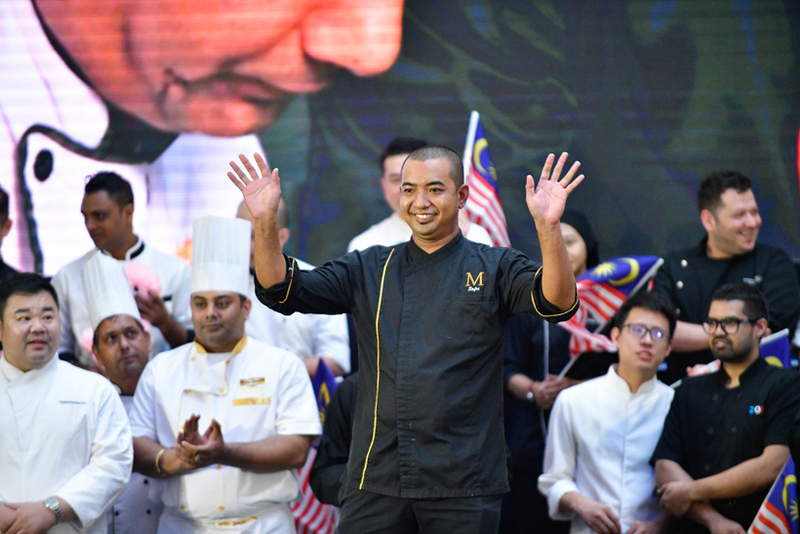 Following Tunku Naquiyuddin’s speech was the main event of the launch, as Festival Master Chefs were introduced one-by-one on stage while stylish videos of them plating up dishes ran in the background. 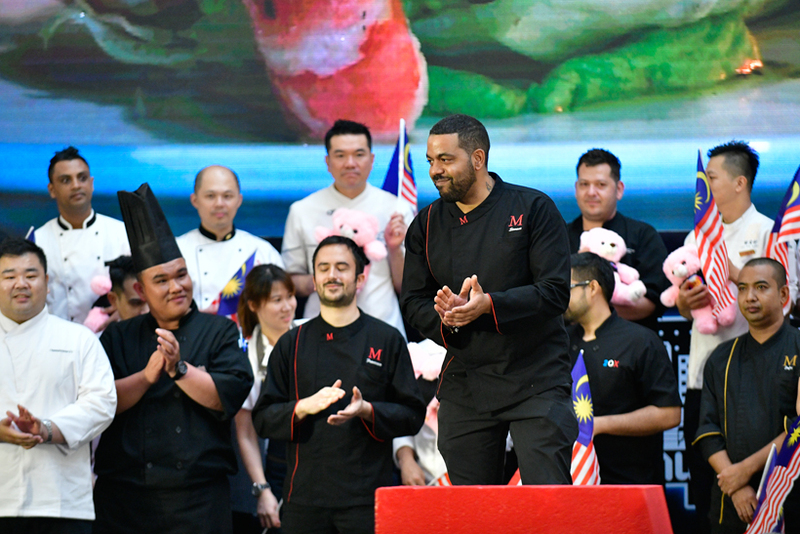 Once all the Chefs stood proudly on stage, they were joined by Tunku Naquiyuddin, Dato’ Steve, sponsors, partners and Festival Advisory Committee Members for a photography session. 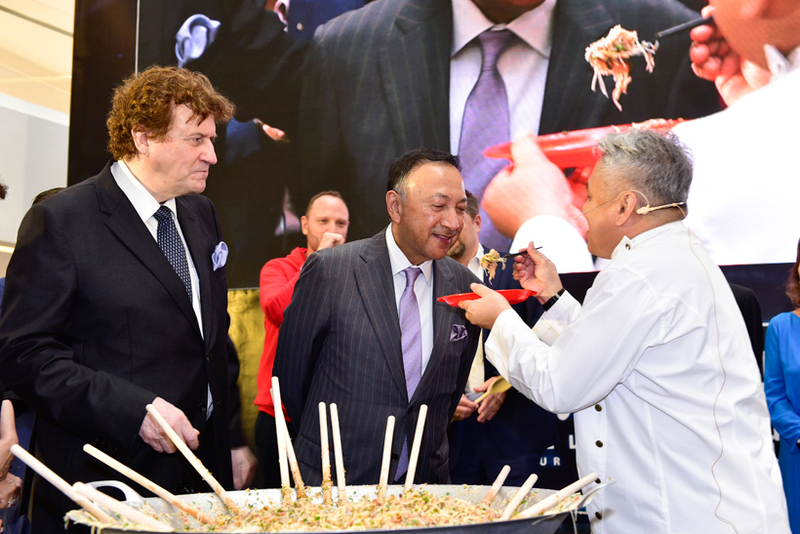 This led right into the next exciting phase of the launch which featured the effervescent Chef Wan, who whipped up a traditional Malaysian kerabu meehon salad dish in the ‘muhibah’ way – with all the gathered VIPs on stage lending a hand. 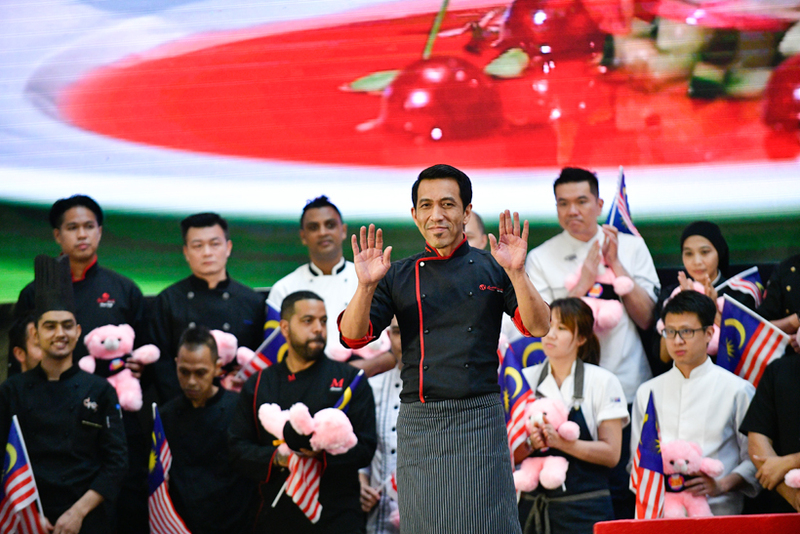 To the applause and cheers from the audience, Chef Wan finished his lively session by personally feeding each of his ‘Sous Chefs’ the meehon salad they all helped to prepare! Stepping off the stage, the party moved towards the rear of the venue where the unveiling the official MIGF billboard paved the way for the traditional tour of Festival dishes by the Organising Chairman and Royal Patron. Led by Sarimah, they were taken around the culinary block, exchanging greetings with each chef who explained how their dish was created. 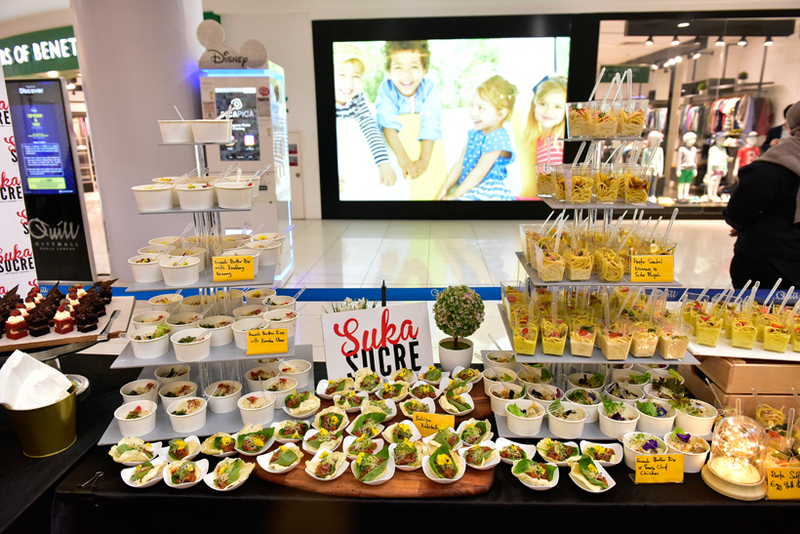 Being an event with food at its heart, guests were then invited to partake in a sumptuous spread prepared by Dato’ Fazley Yaakob and his team from SukaSucré Bistro, which joins the Festival for the second time this year. 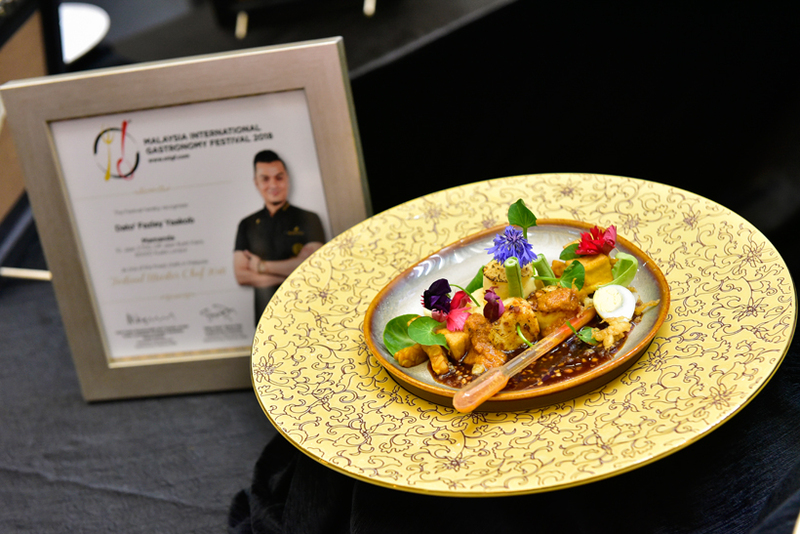 A fusion of Malaysian and French fare comprised the buffet, which featured sweet and savoury delights from Dato’ Fazley’s culinary repertoire. Stay tuned for news on the two-day Taste MIGF, which kicks off with a spectacular Gala Launch this National Day on the 31st of August. The gastronomic weekend will feature all of this year’s Festival restaurants in the Theatre of Cuisines, serving up tasting portions from their Festival menus that will be offered all throughout September. 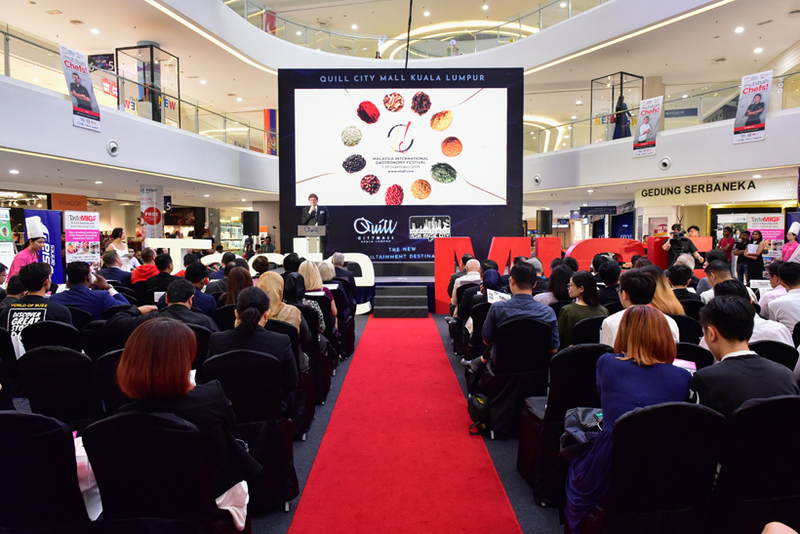 Explore migf.com to find out what else Taste MIGF has in store, including the Epicure International Gourmet Village, LuxuryPlus Showcase, Taste of Malaysia, Cooking Classes, Lifestyle workshops and much more!